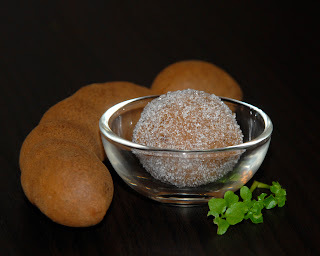 Tamarind Balls are sweet & sour, soft & intriguing little confections. And, if you've never had one, you should! Tamarind is a fruit that grows as a pod on a tree. It has a hard, papery brown shall with sour, pulpy fruit and large seeds inside. It's used, among other things, to make jams, beverages, sauces (it's even in Worcestershire sauce), and candies. You can buy Tamarind in a few different forms. It is sold as pods. It is sold as a liquid concentrate. And it is available in paste form, kind of like a block of dehydrated fruit. If tamarind isn't in your local grocery store, you can probably find it in an Asian or Latino market. There are different ways to go about making tamarind balls. This recipe, an adaptation of one found at Simply Trini Cooking, is made with sour tamarind pulp and has no add-ins (some people add garlic, black pepper, chili peppers, extra salt, etc). 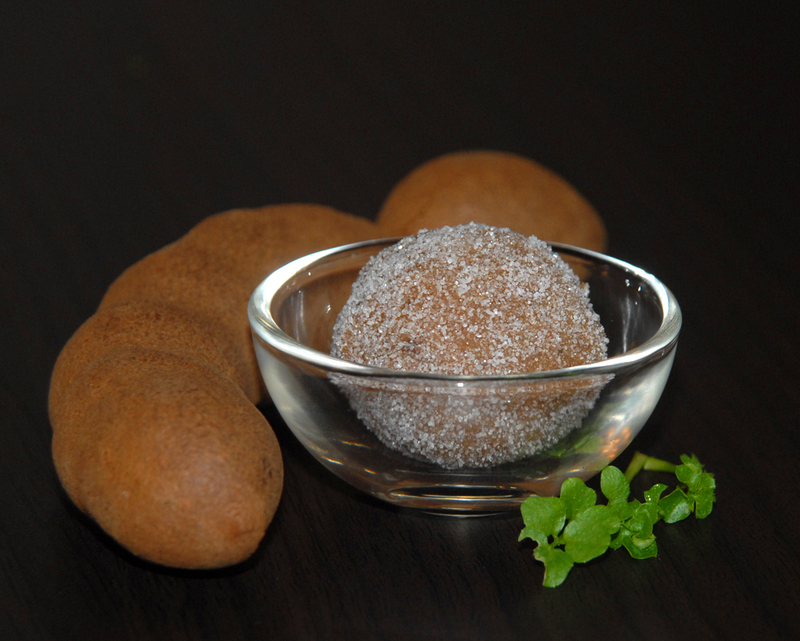 Tamarind balls are a tasty and interesting candy. Next time you're feeling adventurous, give 'em a try! 1. Place the tamarind pulp and 1/4 cup of the sugar into a medium bowl. Start kneading the mixture with your hands, separating and discarding the seeds and any tough fibers. Knead in the salt. 2. Knead in another 1 1/4 cups of the sugar. Knead in additional sugar as needed to form a smooth dough that will hold its shape. 3. Place the white sugar in a small bowl. Roll the tamarind mixture into tablespoon sized balls. Roll the balls in the sugar to coat. 4. Serve! To store: cover and chill.